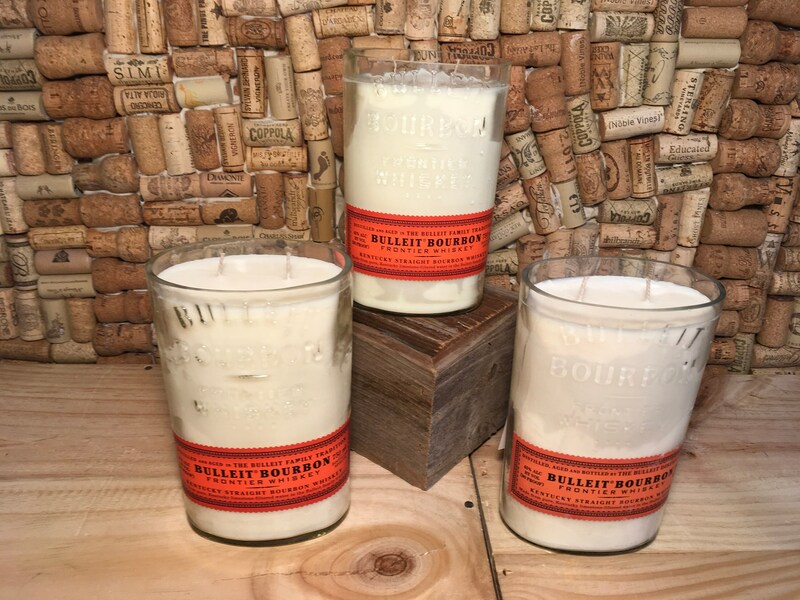 FREE SHIPPING Bulleit Whiskey soy candle, choose your scent! 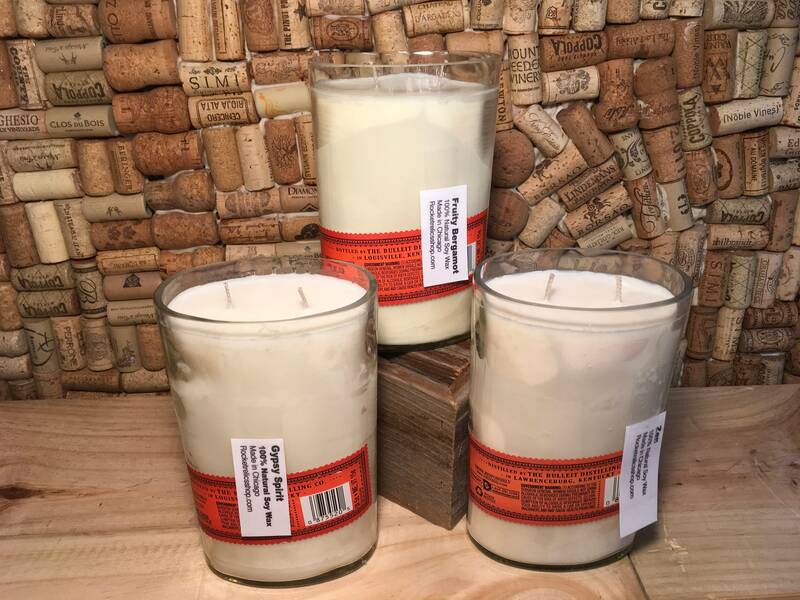 This is a double wick soy candle in a Bulleit Kentucky Whiskey Bottle. Choose which scent you like. Use the drop down menu to pick your favorite. This candle will burn for 75+ hours! I have two available. Zen has a combination of myrrh, patchouli, pine, sheer musk, vanilla and lilac. Light and relaxing! Gypsy Spirit has top notes of citrus and tea, middle notes of pepper and ginger, and base notes of cedar. My favorite!